Is Adobe Inc. (ADBE) A Good Stock To Buy According To Hedge Funds? We can judge whether Adobe Inc. (NASDAQ:ADBE) is a good investment right now by following the lead of some of the best investors in the world and piggybacking their ideas. There’s no better way to get these firms’ immense resources and analytical capabilities working for us than to follow their lead into their best ideas. While not all of these picks will be winners, research shows that these picks historically outperformed the market when we factor in known risk factors. Is Adobe Inc. (NASDAQ:ADBE) going to take off soon? Prominent investors are getting more optimistic. The number of long hedge fund bets rose by 12 recently. ADBE was in 79 hedge funds’ portfolios at the end of September. 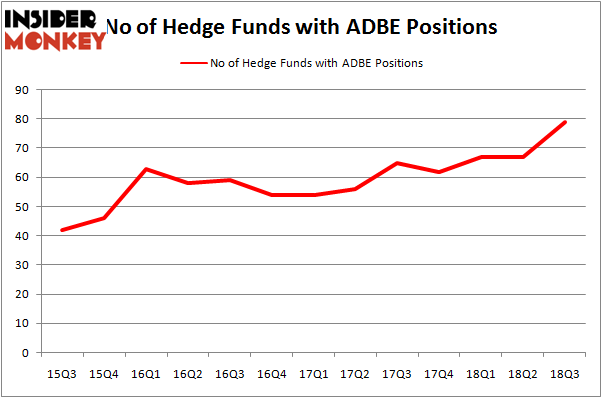 There were 67 hedge funds in our database with ADBE positions at the end of the previous quarter. As a result of this large increase in hedge fund ownership, ADBE now ranks as the 22nd most popular stock among hedge funds (see the list of 30 most popular stocks among hedge funds). If you’d ask most shareholders, hedge funds are seen as worthless, outdated financial vehicles of yesteryear. While there are more than 8000 funds trading at the moment, Our researchers hone in on the top tier of this group, approximately 700 funds. 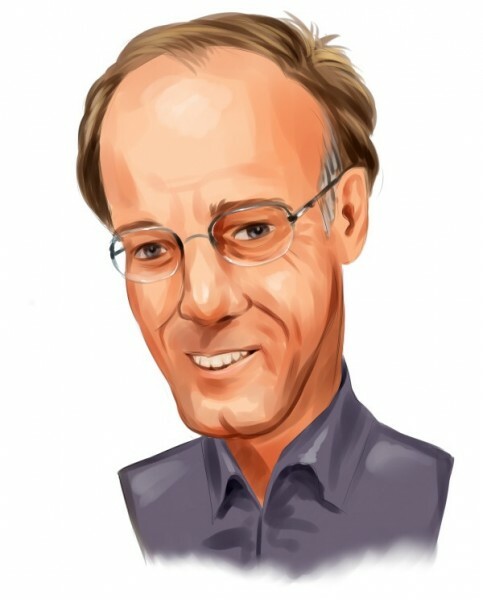 These money managers control most of the hedge fund industry’s total asset base, and by monitoring their finest equity investments, Insider Monkey has brought to light various investment strategies that have historically outperformed the broader indices. Insider Monkey’s flagship hedge fund strategy defeated the S&P 500 index by 6 percentage points a year since its inception in May 2014 through early November 2018. We were able to generate large returns even by identifying short candidates. Our portfolio of short stocks lost 26.1% since February 2017 even though the market was up nearly 19% during the same period. We just shared a list of 11 short targets in our latest quarterly update. Let’s view the recent hedge fund action surrounding Adobe Inc. (NASDAQ:ADBE). How have hedgies been trading Adobe Inc. (NASDAQ:ADBE)? At the end of the third quarter, a total of 79 of the hedge funds tracked by Insider Monkey held long positions in this stock, a change of 18% from the previous quarter. Below, you can check out the change in hedge fund sentiment towards ADBE over the last 13 quarters. So, let’s examine which hedge funds were among the top holders of the stock and which hedge funds were making big moves. Among these funds, Lone Pine Capital held the most valuable stake in Adobe Inc. (NASDAQ:ADBE), which was worth $1464.4 million at the end of the third quarter. On the second spot was Arrowstreet Capital which amassed $1098.3 million worth of shares. Moreover, Egerton Capital Limited, AQR Capital Management, and Point State Capital were also bullish on Adobe Inc. (NASDAQ:ADBE), allocating a large percentage of their portfolios to this stock. As aggregate interest increased, key hedge funds were breaking ground themselves. Fisher Asset Management, managed by Ken Fisher, established the largest position in Adobe Inc. (NASDAQ:ADBE). Fisher Asset Management had $110.3 million invested in the company at the end of the quarter. Adam Wolfberg and Steven Landry’s EastBay Asset Management also initiated a $17.1 million position during the quarter. The following funds were also among the new ADBE investors: Clint Carlson’s Carlson Capital, Vikas Lunia’s Lunia Capital, and Benjamin A. Smith’s Laurion Capital Management. Let’s also examine hedge fund activity in other stocks similar to Adobe Inc. (NASDAQ:ADBE). We will take a look at McDonald’s Corporation (NYSE:MCD), Abbott Laboratories (NYSE:ABT), Philip Morris International Inc. (NYSE:PM), and 3M Co (NYSE:MMM). All of these stocks’ market caps are similar to ADBE’s market cap. As you can see these stocks had an average of 41.5 hedge funds with bullish positions and the average amount invested in these stocks was $1528 million. That figure was $7922 million in ADBE’s case. Abbott Laboratories (NYSE:ABT) is the most popular stock in this table. On the other hand 3M Co (NYSE:MMM) is the least popular one with only 34 bullish hedge fund positions. Compared to these stocks Adobe Inc. (NASDAQ:ADBE) is more popular among hedge funds. Considering that hedge funds are fond of this stock in relation to its market cap peers, it may be a good idea to analyze it in detail and potentially include it in your portfolio.